According to media reports, the fire engulfed the entire central building and firefighters dispatched to the scene desperately battled the raging flames. 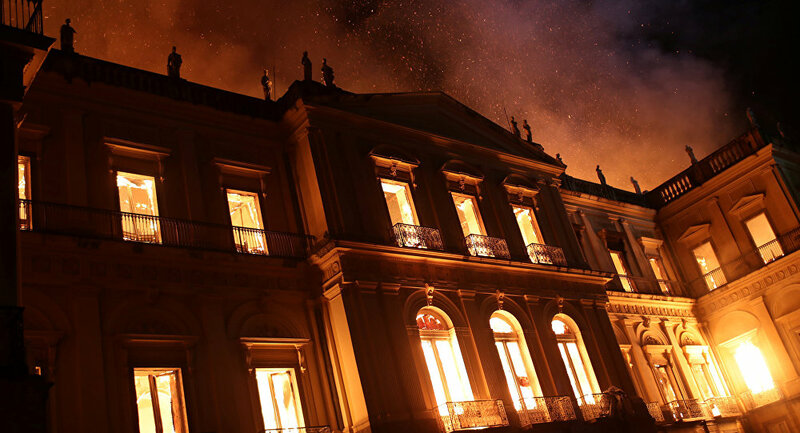 There is a fire at the National Museum of Brazil in Rio de Janeiro. Let's believe that all collections will be saved.#BreakingNews #PanPrezesNews #NightNews from @paula2ag! — Pan Prezes (@PrezesPan) 2 сентября 2018 г. — Juliana Tang (@juulianatang) 2 сентября 2018 г. The scientific institution is one of the largest museums of natural history and anthropology in Latin America. Founded by King John VI of Portugal some 200 years ago, the museum hosts a vast collection encompassing the most important records regarding Brazil's natural history and invaluable items produced by ancient civilizations throughout the world. According to the Globo TV Broadcaster, there was no immediate information on potential deaths or injuries. The National Museum's press service told local reporters that no one was injured and four security staffers had been evacuated in time. However, eyewitnesses claim there can be no chance to rescue many pieces of the priceless collection. — Isabella, or Shira. #Olheiras a mil (@IsabellaShira) 3 сентября 2018 г. — Sylvia (@guimasylvia) 3 сентября 2018 г. "This is a tragic day for Brazil," Brazilian President Michel Temer said in a statement quoted by AFP. 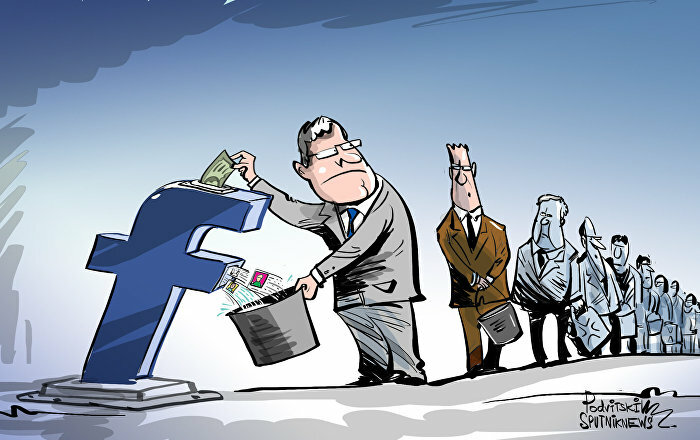 "Two hundred years of work and research and knowledge are lost." The director of the National History Museum told Globo TV that "this is a cultural tragedy." According to the vice-director of the National Museum, Luiz Duarte, the institution had suffered from years of neglect under numerous governments, Reuters reported. "We never got anything from the federal government… We recently finalized an agreement with (state-run development bank) BNDES for a massive investment, so that we could finally restore the palace and, ironically, we had planned on a new fire prevention system," Luiz Duarte told Globo TV as quoted by Reuters.